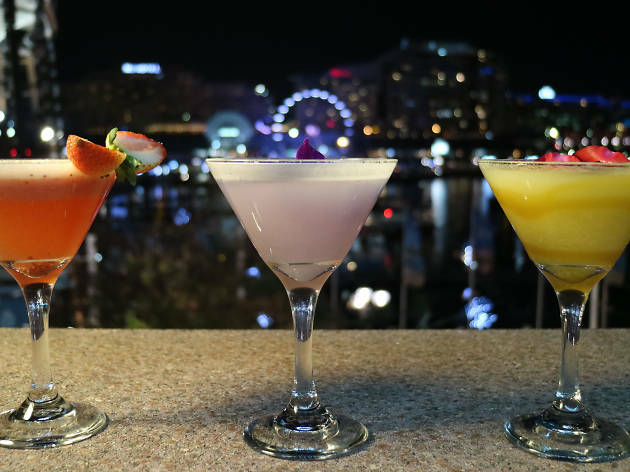 The Blackbird Café and Bar down at Darling Harbour is all about covering all of the food and drink bases to ensure you have a good night out. On the food front they've got an extensive menu, which ranges from antipasto snacks to lights salads. You'll also find a full range of burgers (beef, schnitzel, pulled pork and even crocodile), pizzas (cooked to order on a stone grill), pastas and grilled meats. 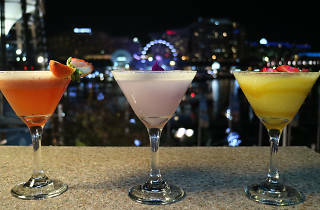 Meanwhile, cocktails are all about sweet slings and twisted classics, like the Sea Breeze with Absolut Citron Vodka, Tanqueray Gin, Parfamour Liquor with citrus and peach bitters; or the Fairy Floss Cosmo with vanilla vodka, Cointreau and cranberry juice, topped with fairy floss and fresh strawberries. House favourite cocktails are just $10 everyday, like the Basil Dog with muddled basil and lime, with gin, Domain De Canton and ginger beer; or the Blue Bird with Midori, Blue Curaçao, soda, Sprite, fresh lime and grenadine. Find out more about the Blackbird Café and Bar.